If you're anything like me, you can't start a new project without a shiny new notebook and pen so here's a round up of some of the best stationery finds to get those creative juices flowing. Run by London based designer and illustrator, Teri, she creates gorgeous notebooks, prints and invitations with a strong graphic hand painted style. Inspired by modern and graceful design across art, interiors and fashion, Creative Director, Sarah Silver, has brought these influences together to create a beautiful and elegant range of notebooks, stationery and leather accessories. 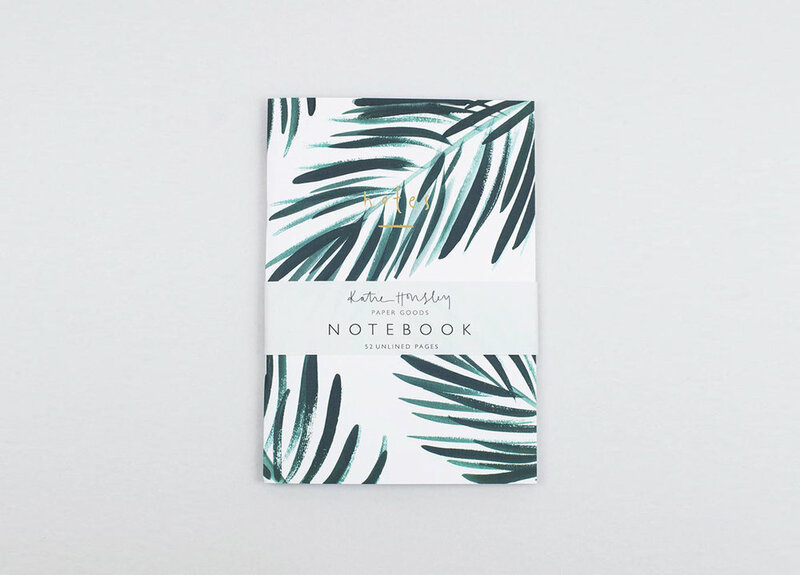 A stationery company based in Hove, Katie's collections are inspired by nature, plants, texture and colour. Many of the cards are hand finished with added textures applied by hand for a luxurious finish. Playtype started as a concept store in Copenhagen but after huge interest from across the world, what began as an experiment with type has turned in to a successful business selling stationery, posters, mugs and t-shirts. A Danish company which started with wooden letters in 2009. Design Letters creates modern home textiles, home accessories and ceramics: cups, mugs and plates using the the famous type design by Arne Jacobsen.